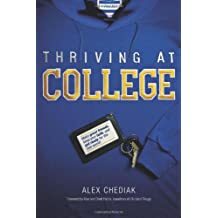 Excellent and comprehensive book on how not to waste college years. Chediak is a professor at California Baptist College in Riverside, CA, so he has credibility. The book covers many subjects including common mistakes, dating relationships, time management, how to study, and many more. Excellent resource for parents and students.